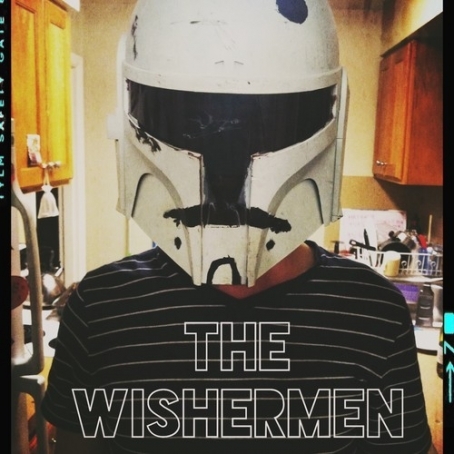 The Wishermen Debut Single "Song Song"
I've just had the pleasure of listening to a new instrumental EP, Epoch, by The Wishermen. The trio is comprised of Grant Sayler on guitar, Chris Friesen on bass, and Barra Brown on drums. The songs offer a cool use of jazz arrangements, and feature an array of heavily effected guitars and a few other instruments (horns, keys, noises). Think John Scofield guitar chops, with a more adventurous sound. Some very tasteful shredding going on from all the musicians. Epoch is the band’s first collaborative writing effort. Brown explains they start writing, “usually basing the songs off of a particular sound that we liked.” The EP was produced by local musician Adam Brock, though mostly tracked live. You can hear the benefits of recording everything together--really gives the album a tight-knit groove at the heart. Their first single "Song Song" starts off with some assortment of metallic noises, maybe the clink of a spoon on glass and some jar tops. It sets a nice, mellow vibe with the breezy, delayed guitar line, and light drums and bass. While a release date isn’t set, expect the full EP out late summer.